The corporate tax is essentially a flat rate tax; it is currently 46%. The rate was reduced from 52% to 48% by the 1964 tax cut, raised temporarily by 10% during the Vietnam War but was also reduced in 1978 by the tax act to the current level. The tax base for a nonfinancial corporation investing in fixed assets is derived by subtracting from gross sales the costs of input increases or when tax credits are allowed against calculated tax liabilities. Through various legislation, there have been increases in levels of depreciation allowances and credits at any given level of income. 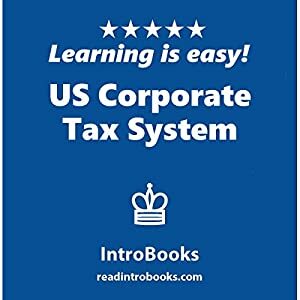 IntroBooks delivers up to the minute information covering everything on a topic in only one hour of reading. Our ebooks and audiobooks give essential information in a straight-to-the-point, easy to read format. We have cut out technical jargon, waffle and unnecessary filler to ensure you get the essential information you need to achieve your goals with confidence.